Home Atty. 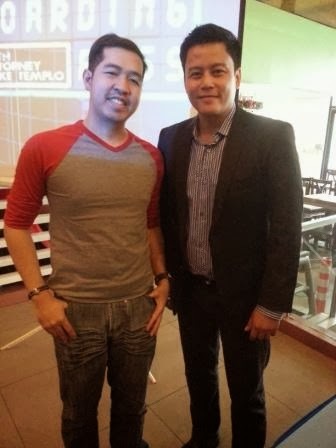 Mike Templo Boarding Pass GMA News TV Interview Video Interview with the Celebrity Michael Templo Mike Templo News News Anchor Newscaster Rocky and Atty. Mike Templo Rocky and Mike TV program An Interview with Mike Templo! "Boarding Pass" is actually a news and public affairs TV program which aims to help the OFW abroad. It will feature different life stories of the Filipinos abroad at the same time aid in resolving the overseas issues. Atty. Mike also revealed that he became an OFW for a number of years. While being an OFW, he himself experienced the actual lives of Filipinos abroad.